As a maritime country, Indonesia is famous for its various diving sites. One of the most colorful diving sites is Bunaken Island, which is located in North Sulawesi and a part of Manado municipality. The Island is only 8 km square in size, but it has one of the richest marine biodiversity stuffs in the world. Bunaken Island itself is a part of Bunaken National Marine Park. It has been the pride of people in Manado since first established in 1991. Many divers and snorkelers around the world make this island one of their must-visit places for diving. It is not surprising considering its underwater beauty. Bunaken got its rich biodiversity from the meeting between Northeastern currents and their counter currents, which constantly create a large swimming larva and plankton traps. This, in turn, attracts various species of animals that eat those larva and planktons, and in turn attract more large animals, forming a biodiversity. Other factors that make Bunaken so rich in life forms are its constantly warm water, being a tropical sea with temperature that ranges between 27 and 29 Celsius degree. This is an ideal condition for various marine plants and coral reefs to grow and multiply. Many divers and snorkelers have described incredible view under Bunaken water; not only because the water is clear blue, but also because the underwater life is very rich. It is said that Bunaken has about 70 percent of all fish species in Indo-Western Pacific, as well as having 7 out of 8 species of rare giant clams in the whole world. Divers can also see hundreds of coral fish species, among them are damsels, gobies, clown fish and groupers. 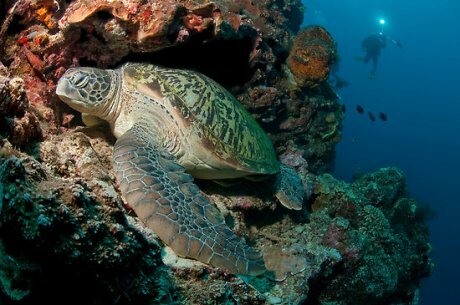 Other animals include sea turtle, several species of sea horses, colorful coral reefs and sponges. In fact, Bunaken has about 70 coral genera, which is claimed to be more than those in Hawaiian Island. 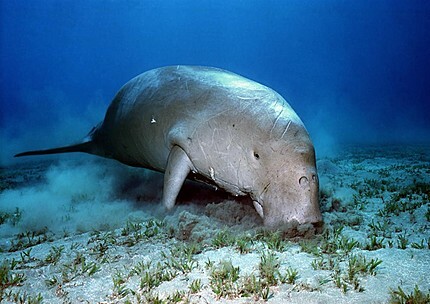 There are also unique, rare animals such as dugongs. Bunaken is so famous that Department of Tourism always puts this island and one of the most recommended destinations for people who visit Eastern Indonesia areas, especially Sulawesi. 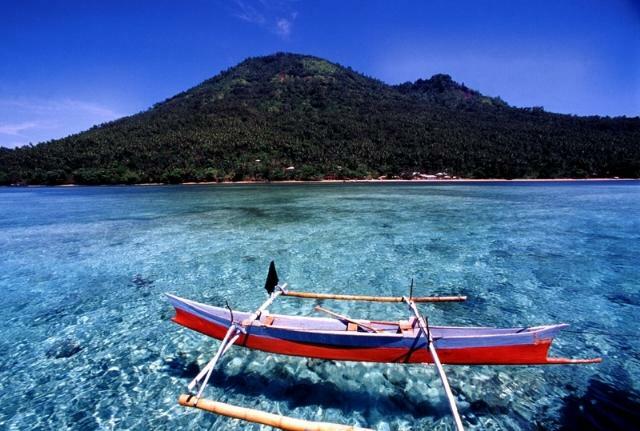 To reach Bunaken, visitors can depart from Manado by boat in a 60 minutes trip. Public boats are available every day except on Sunday, with quite cheap fares; around $2.5 (IDR 25,000) for tourists. The boat departs at 2-3 PM and returns from the island at 8-8.30 AM. Many travel agents also arrange trip to the island with chartered boat. The entry fee to the island is $5 (IDR 50,000). Bunaken also offers other activities. For example, instead of diving, visitors can join a hiking trip to see Bunaken’s coastal beauty from hilltop. Visitors can also join local anglers for a fishing trip, or hire boats to watch whales and dolphins. The beach is also nice for lazy strolling, but visitors must be careful about sea tide rising. Bunaken is clearly one of the most beautiful natural attractions Indonesia has, and its rich biodiversity suitably earns it the reputation as the underwater paradise in North Sulawesi. Discover World Heritage on Expedia.com!